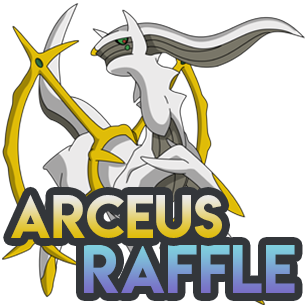 Follow us on twitter @MirageCraft, then like and retweet this tweet (Arceus Raffle) to get a chance to win a Arceus! If enough players enter, we might even throw in some random shiny Pokemon as participatory prizes! Draw date is on November 13, 2018!